This is top of the pops from the 2017’s I’ve tried from Oakridge, it’s a tall order given they are consistently good across the range. The Hazeldene is more forward in its fruit and gives incredible purity, whilst still having the hallmark sulphide and lees complexity that makes the wine produced by David Bicknell so compelling. The nose has piercing white peach with flint, oyster shell and faint matchstick notes. 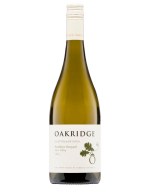 There is ample fruit to fill the mouth but it is afforded a leanness through just ripe fig and taut lines of citrus. The finish works in some mealy richness before driving stone fruits and and embellishment of oak derived spice give length and impact.